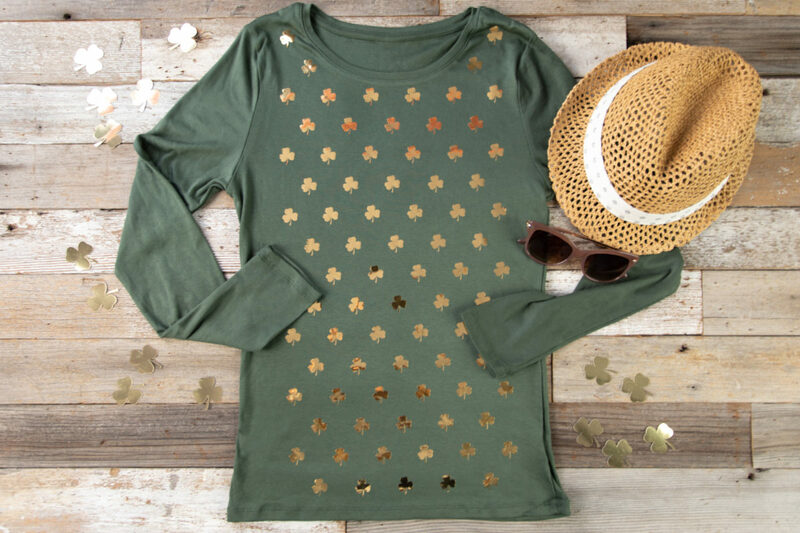 With St. Patrick’s Day coming up, you’re going to need some apparel to keep you pinch-free throughout the day! 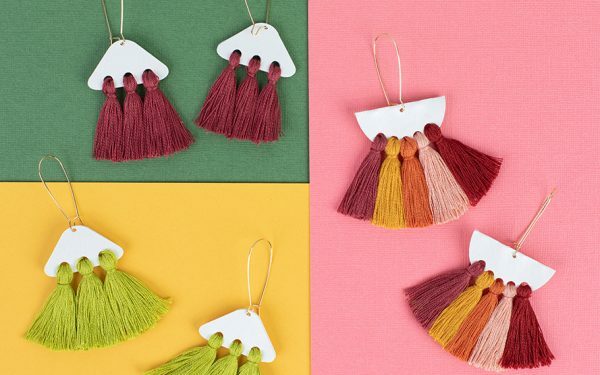 We love the idea of creating a pattern with a simple design. 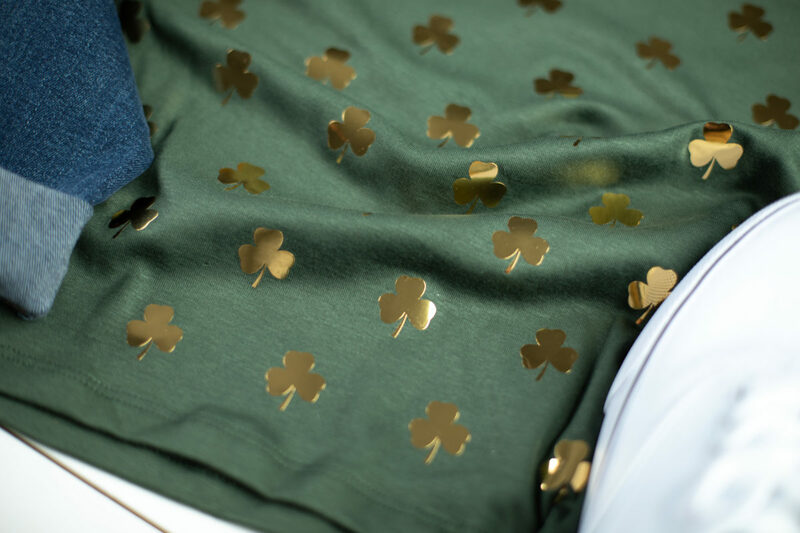 Keep reading if you’d like to find out how you can create your own shamrock shirt! 1. 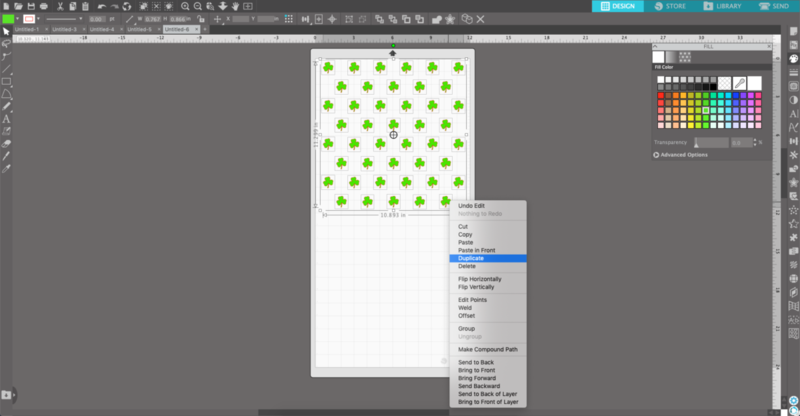 Open the design (ID #2085) in Silhouette Studio® and size to scale. 2. Duplicate the image. You can do this by selecting the design, right-clicking, and choosing Duplicate from the drop-down menu. Repeat this step until you have six shamrocks. 3. 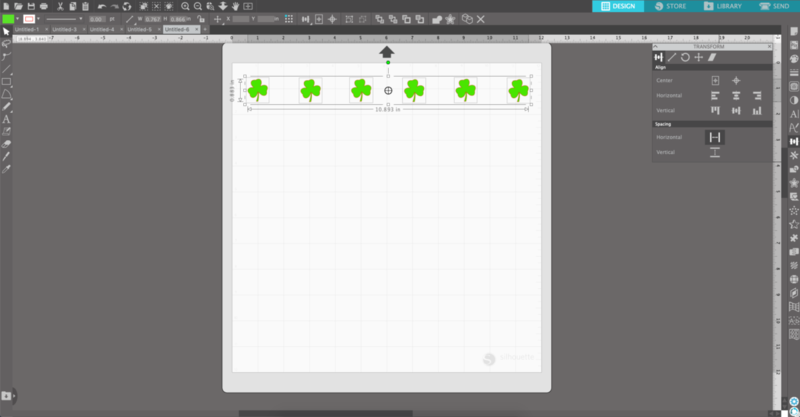 Select all of the shamrocks and choose the Transform panel from the right-hand toolbar, In the Align section, select Horizontal to make the spacing uniform. 4. 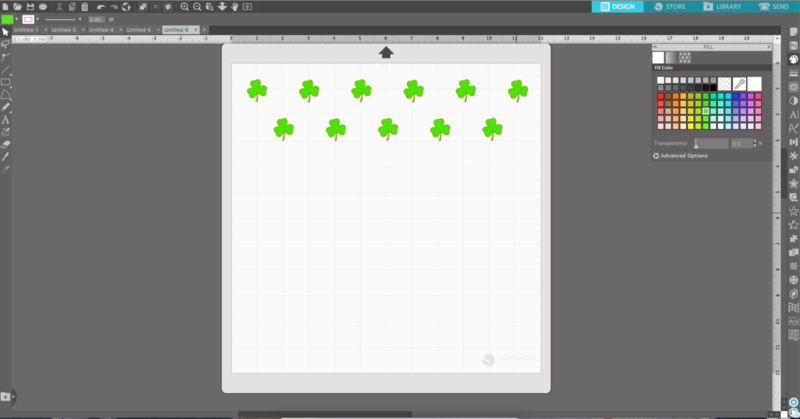 Now with all six of the shamrocks selected, right-click and choose Duplicate from the drop-down menu again. Move the newly created shamrocks down and offset them. Delete the end shamrock so that there are only five remaining in that row. 5. 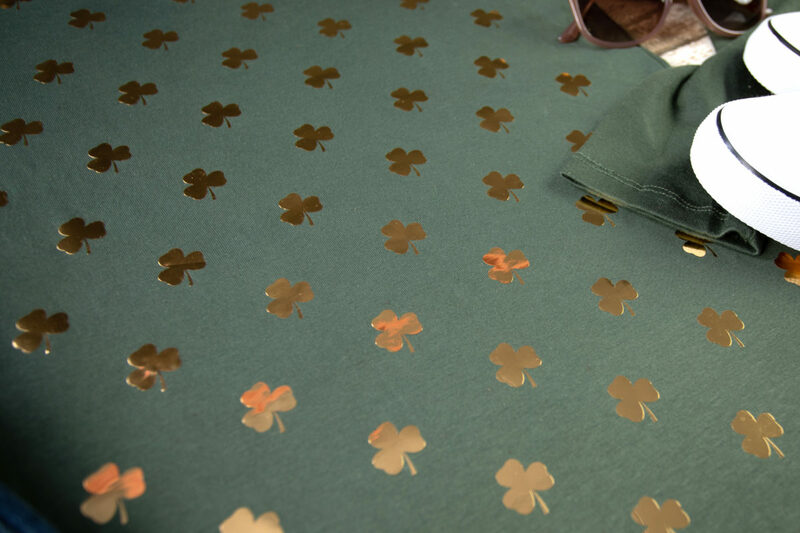 Now that you have two rows, select all of the shamrocks and repeat the duplicating process until you have enough to fill the cut page. 6. 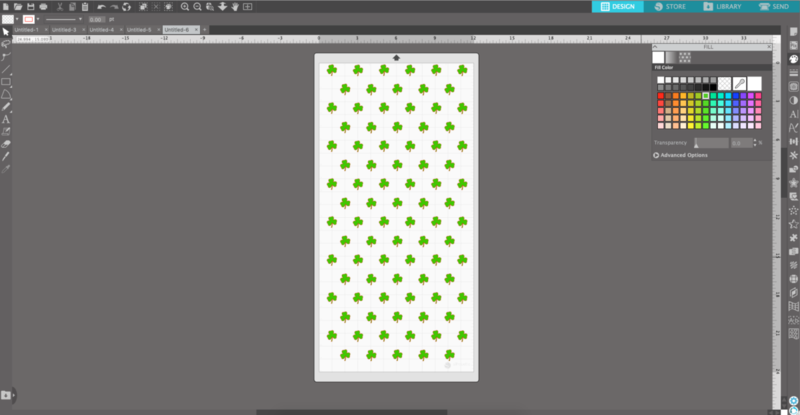 Because we had a long t-shirt to add the design to, we are going to use our 12 x 24 cutting mat. So we need to adjust our page and cut settings. 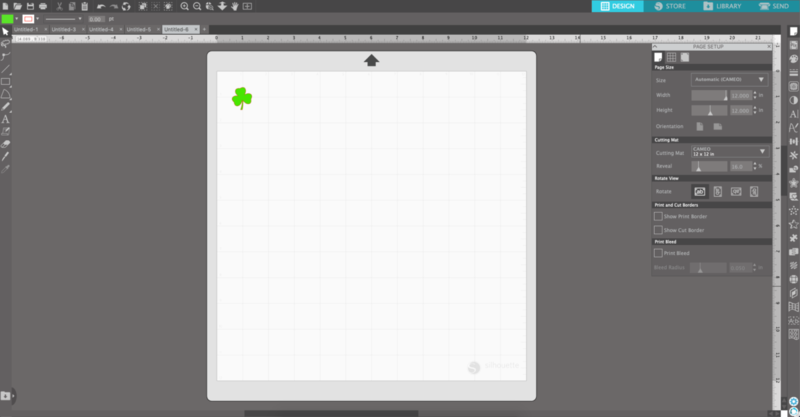 Select the Page Setup panel from the right-hand toolbar. Choose the custom option under the size and change the height to 24 inches. Under the Cutting Mat choose the CAMEO 12 x 24 mat. 7. 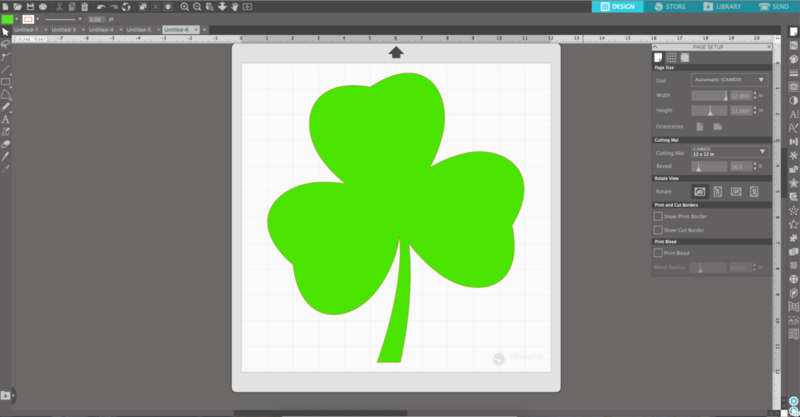 Select all the shamrocks and duplicate them to fill the entire cutting mat. 1. 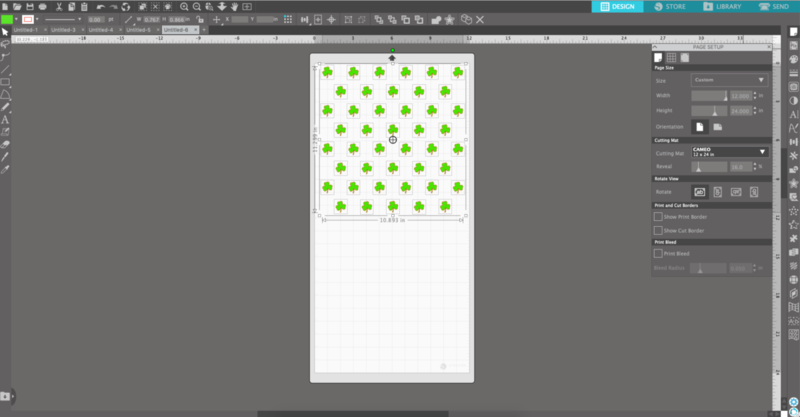 Once you have your design ready to go, load your heat transfer material on the cutting mat shiny side down. 2. Go to Silhouette Studio® and select the Send tab. You will be prompted to mirror the design or send it as is. We don’t have any words on this design, so it’s not too critical to mirror it, but we choose to mirror it just so the final product would appear like the one we see in Silhouette Studio®. 3. When the design is cut, weed away (or remove) the excess vinyl and place the heat transfer over your t-shirt with the plastic liner side up. 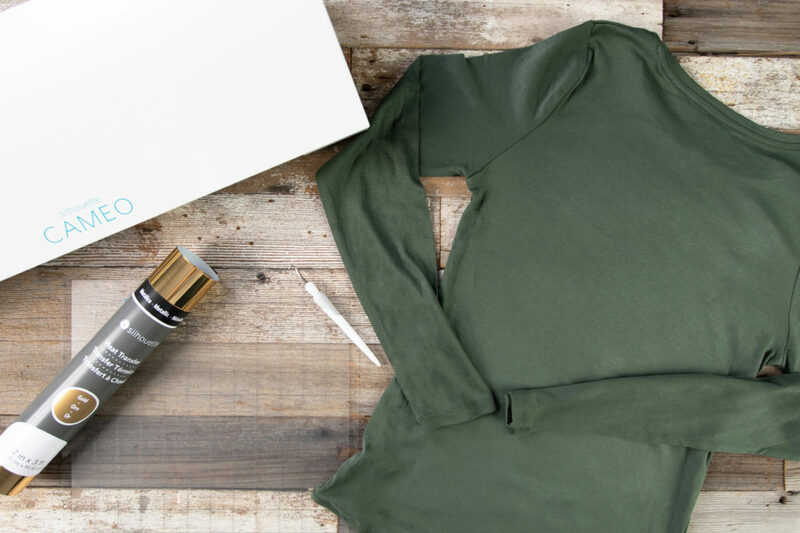 Place a piece of cloth over the plastic liner and iron the heat transfer on the shirt. Iron for about 45–60 seconds and ensure that each part of the design gets pressed equally. 4. Remove the plastic liner from the shirt and wear it! Now you’re safe from those pinching St. Patrick’s Day fingers!